Here’s a tip from a foodie dietitian (me! ): ALWAYS check out the ethnic food aisle at your grocery store. There are so many amazing, unique products bursting with flavor and often, nutrition. I recently used this advice during a visit to Plum Market, a new grocery store in the Old Town neighborhood of Chicago. Though Plum Market is smaller than some grocery stores, it is brimming with up-and-coming brands and products that you never knew you couldn’t live without. But more importantly, the nutrition is unheard of. Just goes to show that nature creates foods that are far superior to processed foods. 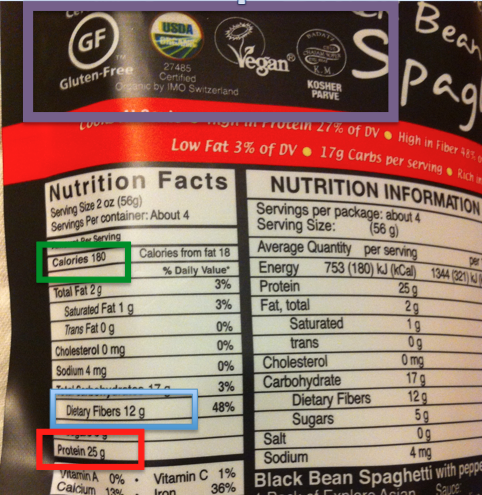 To compare, Barilla Plus Pasta (touted as having protein, fiber and omega-3 fatty acids) – for the same size portion – has 210 calories, 4 g fiber and 10 g protein. Plus the Barilla has 15 ingredients compared to two ingredients for the black bean pasta – with one being water, which barely counts. Oh, and check out all of those certifications — gluten-free, USDA Organic, Vegan. So what to do with this glorious protein pasta? 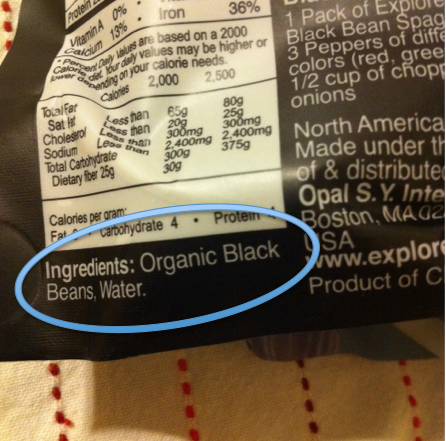 Even though it’s made by the company Explore Asian Ethnic Cuisine, when I think black beans, I think Mexican. 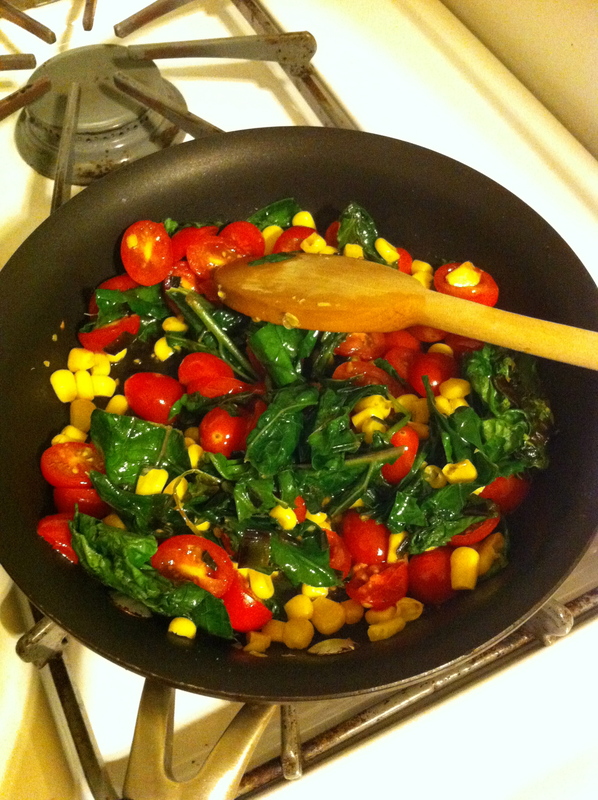 This pasta dish is loaded with veggies – tomatoes, corn, kale (lots of it all) and topped with salsa instead of tomato sauce. The high fiber and protein content of the pasta makes it extremely filling. IMPORTANT: if you’re not a big bean/lentil eater, you need to start with a small serving of this pasta, or suffer the GI consequences. 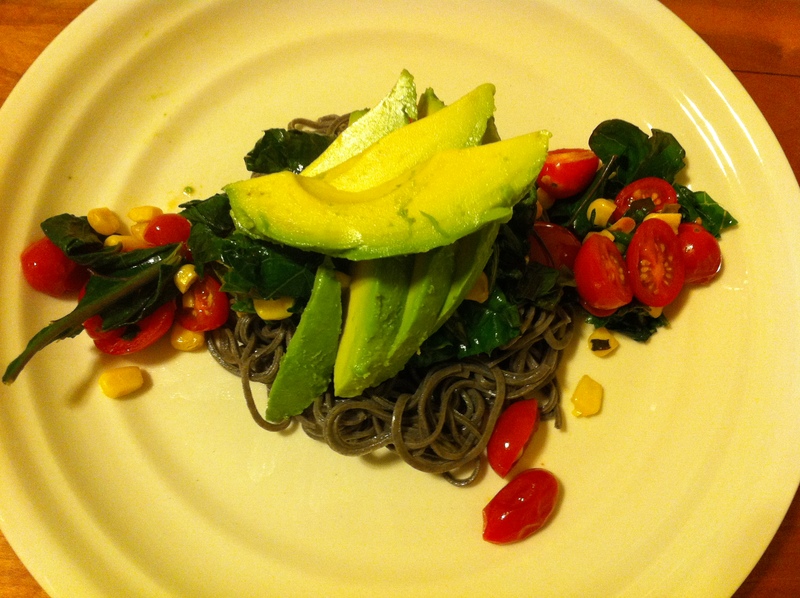 Add cooked black bean pasta to your plate, drizzle with olive oil, and top with veggie mixture, salsa and avocado (Since I live in Chicago and we don’t have “local avocados,” I like to buy California Avocados since they’re at least farmed in the U.S.). Such a delicious, satisfying meal that took all of 20 minutes to make. Stay tuned for another faux veggie pasta, made with squash and the coolest kitchen gadget (the spiral slicer). Though I’ve never been a big pasta lover, I am completely loving these veggie- and bean-based versions.